Despte forming in 2004, Seeland took another five years to put out their first album. They are obviously on a hot streak of form now because the follow-up arrives just over a year later. Based around the talents from two former Bimingham post-rock acts (Tim Felton was in Broadcast whilst Billy Bainbridge served time in Plone), ‘How To Live’ further explores their world of retro-futurist pop. The flaws of Seeland are that occasionally their ditties are a little too throwaway (‘Black Dot White Spider’ and ‘Local Park’ are cases in point) and it’s fairly obvious why Felton took the back seat on vocal duties whilst in Broadcast; his monotone often at odds with the dreamy instrumental passages. Yet most of the time, they overcome these failings. ‘Afterthoughts’ and ‘Armour’ visualise space pop in an alliance with folk music whilst ‘Cardinal’ and ‘Been So Long’ are wistful lullabies. ‘How To Live’ also contains two moments of leftfield pop excellence. ‘Awake In A Dream’ is one of those tracks which come from nowhere. A languid summer guitar is joined by some lovely layers of analog electronica and Felton’s soothing croon. It’s a hopeful song and one whose unusual melody is simply spine-tingling. Running close behind is ‘Circles’, which may have its roots in the glum rock sound of the early 1980s but its wordless Kraftwerk-like chorus provides the stark and brilliant counterpoint. There’s an innocent quality to Seeland’s music which proves to be rather endearing. Then occasionally they show a moody depth beneath the sunny disposition and it is here when Seeland’s sonic explorations cross into classy songwriting status. 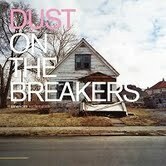 Dust On The Breakers are essentially an indie supergroup formed by band members from The Czars, d.Biddle, Crooked Fingers and a host of other contributors. Yet what could have easily been a clash of styles or a knocked off record actually ends up as a glorious combination of Americana and post-rock. The singing is pitch perfect throughout, particularly when the yearning voices of Anna Slade and The Czars’ Jeff Linsenmaier combine, as they do to swelling strings for opener ‘Charred Metropolis’. ‘Frontiers’ is gentler but Slade is still full of melancholic ache, whilst ‘Summer Rainstorms’ is the most melodaramatic offering, as the various collaborators create an epic, cinematic atmosphere to complement the harmonies. There’s also a nice contrast between the two versions of ‘Quiet Please’: in its original form, it’s pulled through an audio wind tunnel but the ‘Redux’ version is the elegant piano-led aftermath after the devastation. If someone heard this EP without knowing of its background, it would be hard to tell that this group are formed by people better known for being in other acts. Indeed, rather than this being a case of killing time between day jobs, ‘American Reclamation’ is arguably better than the outputs of their parent bands. So please can we have some more? 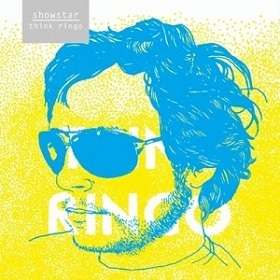 My biggest shock on reading about ‘Think Ringo’ – the third album by Belgian outfit Showstar – is that they are “weaving a darker, insular sound”. On first impressions, I couldn’t think of any bands who sound any less dark as this record seems to be full of cheery pop numbers which recall the brightest, most optimistic exponents of Brit Pop. Scratch beneath the surface, though, and a troubled story emerges. Several of the songs seem to be about the apparently mundane subject of being in a band as song titles as simplistic as ‘On The Telly’ and ‘Battle Of The Bands’ can only indicate. You sense they wouldn’t get away with it, were it not for the naggingly infectious songs they produce. The second track ‘(Love)’ is a joyous anthem with unshakeable verses and choruses which seem so eager to please, you could imagine a boy band performing it. That is until you analyse the lyrics which begin as “don’t like” and then switch to “can’t stand” by the end of the record and then it’s clear why the word “Love” is in brackets. If occasionally they come across as a little obvious (‘Battle Of The Bands’ and ‘Your Eighties’ are reminiscent of power-popping Swedes The Wannadies), later tracks reveal the shades of darkness they promised. ‘My Name Is John’ is spiky and aggressive and contains a marvellously, moody middle eight. ‘Finger Generation’ is based around some superb indie guitar hooks and delightful harmonies, whilst the title track ends in a mass of effects and shouted confusion. Don’t be deceived by the throwaway name, Showstar are definitely a band for whom the term “never judge a book by its cover” applies. They remind me of The Changes, another band who seemed out of place and out of time but knew how to craft the finest of indie pop gems. Christian McKee categorises himself as alternative/indie on his MySpace site. To be more specific though, his main calling card is 1980’s pop-soul; his key strengths being his warm voice and his ear for a decent tune. It sounds simple but McKee does it with style again on his latest EP/mini album. For the opening salvo of ‘Jesus Humiliator’ and ‘Orange Face’, the lyrics may be biting but the melody is always to the fore. ‘First In Love Again’ combines his bedroom soul sound with added guitar and even a song called ‘Crackpipe’ has bags of tenderness but is spoiled somewhat by the American dialogue at its conclusion. That said, ‘Ting’ – a simple but lovely synth passage and some more American voice samples – is arguably the most memorable moment on here. 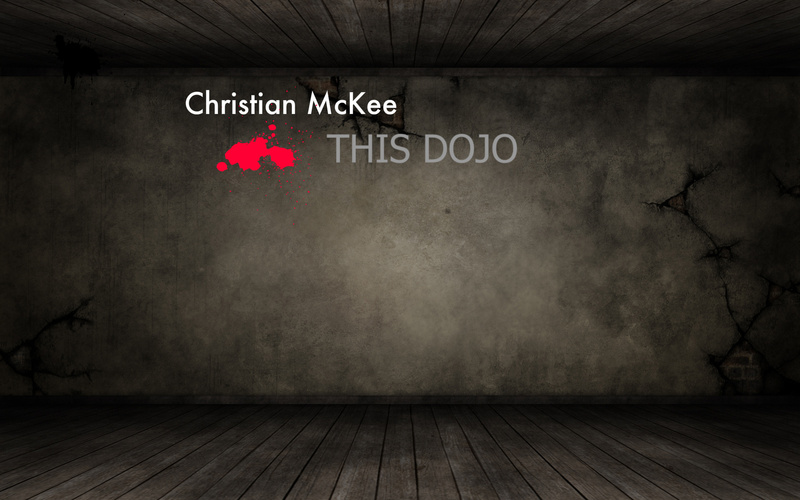 For ‘This Dojo’ McKee largely sticks to what he’s good at. Some may see this as playing safe and lacking ambition but I find a lot of comfort in his reliability. In fairness, he also has made better albums but – as always – the pick of the crop here stands up against his contemporaries. Five years on from their sparkling debut, Ireland’s Burning Effigies return with a follow-up. Even taking in to account that it was an independently-released record, ‘Pipe Dream’ was a brilliant album and one which deserved far more attention than it got. Its jazz/soul/funk/pop hybrid may have seemed a little out of step with modern concerns but the songwriting rivalled Steely Dan for variety, complexity and sheer listenability. For ‘Stuck In Limbo’, the main change to the line-up is Nigerian-born Olu Adeniran, which leads to the group taking on board more African influences. ‘Freak’ is a reassuring return to the funk/soul form which The Burning Effigies mastered on their first album. Better still is ‘Try To Get Together’ where the soul sound is embellished with meaty percussion, the kind of indie guitar licks you’d expect on an Orange Juice album and fine vocal contributions cropping up from speaker to speaker. Of a similar ilk are ‘Neighbour’ and ‘I Wish I Was You’ where their easy ear for a tune is reminiscent of both Steely Dan and Motown, whlst the Tahiti 80-esque ‘Life Of The Party’ is another addictive track. Yet ‘Stuck In Limbo’ is a step up in ambition too. ‘Best Of Me’ is the first time new recruit Olu Adeniran takes lead vocals and he adds another layer of charisma to an already very charismatic band. For the title track and ‘Yemoja’, they indulge their world influences on jazz-funk workouts; these performances are possibly best experienced on the live circuit but on record, I must admit, I wanted them to return to the more melodic side of the band. Then again, the noirish ‘Nadia’ is worthy of a 1960’s crime thriller soundtrack and demonstrates the benefit of the new directions. Once again the production is very crisp and the musicianship is supremely tight. 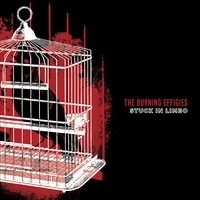 So even if ‘Stuck In Limbo’ lacks the overall consistency of its predecessor, it also takes more risks, which is definitely one of the true qualities of all great bands. I don’t know whether it’s symbolic of my advancing years or not but dubstep has yet to truly capture my interest. In fairness to Liverpool’s Capac – despite employing elements of this subgenre – they operate under the broad church of electronica and their EP shows encouraging signs of creativity and that all-important quality of human emotion. ‘Palindrome’ begins, rather unpromisingly, as a cold, clinical piece with precise beats dominant. However, then effects-saturated guitars begin to take over and then we’re in (for me) the very familiar territory of shoegaze. The elegant ‘Missing 36’ adds levels of mystery and intrigue and even features an orchestral segment. ‘Flies’ is the one disappointment; it’s an uninvolving slab of minimal techno but ‘Circle, Yes’ wipes out that memory as a reversed acoustic guitar figure creates an atmosphere of loss and euphoria all at once. Saving the best until last, though, ‘May Hill’ is simply wonderful as the delayed beats combine with downtempo electronica. 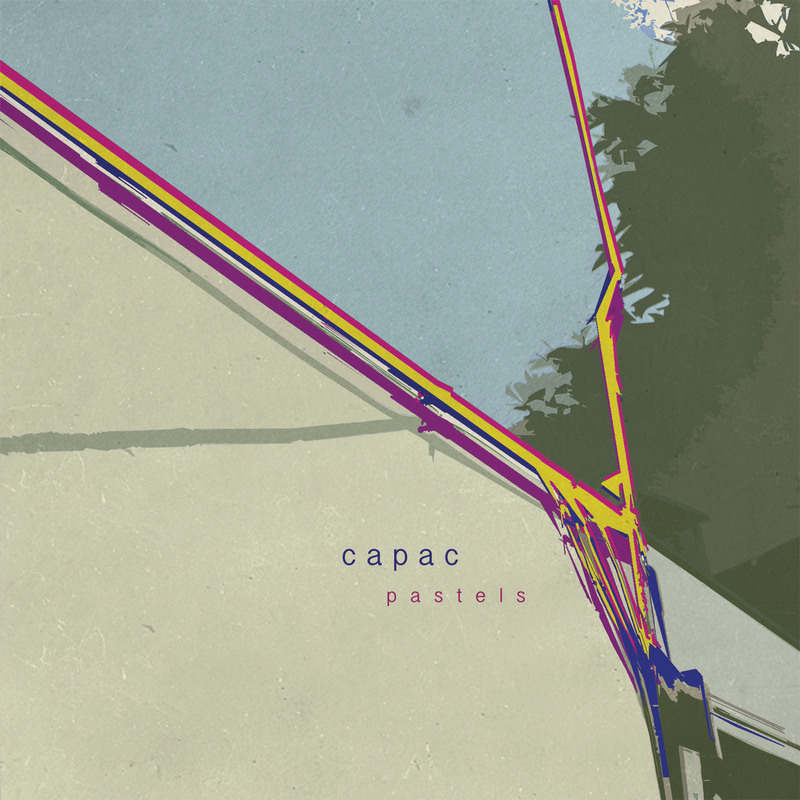 Unusually for a techno record, ‘Pastels’ satisfyingly grows in stature with each listen. Amongst the carefully processed beats, there is an inner core of melancholy that sets its apart from its contemporaries. Bands formed whilst at University have a tendency to try too hard to sound like their heroes. Bucking the trend, then, are Queensland’s Dafoe who combine study time with play time at Toowoomba University. Their EP is an incisive, modern take on post-punk and new wave. ‘Young Kevin’ begins ominously with a menacing bassline. It is soon joined by a post-punk guitar figure and then the whispered, threatening tones of the frontman are ushered in. The track develops into a screamed chorus but the tight musicianship of the band means they are are no mere punk pretenders. ‘Knife Edge’ is even better; a rattlingly intense thriller of a song. An instrumental ‘Three’ provides a brief respite from the controlled chaos which is revived again – and with added primary-coloured electronica – for ‘Hardgrave’. Finally, it is left to the doleful ‘Wittenberg’ to conclude the EP. As an opening statement, ‘Dafoe’ (the EP) is certainly not the most original offering but it does showcase two great elements of the band: an attention-grabbing vocalist and songs which deliver on the excitement front too. Taking al that in to account, their next release should be very intriguing.